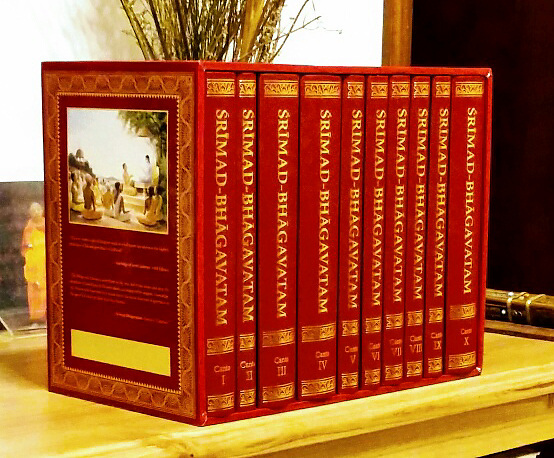 Original 30 Volume Srimad-Bhagavatam Set Available Again! 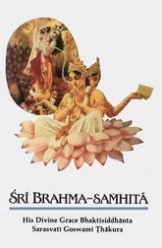 We are delighted to announce that Srila Prabhupada’s original Srimad-Bhagavatam 30 Volume set is back in print. This new printing includes all the original color plates and the original covers. The books are beautifully printed on first-class paper and the color plates have come out better than ever before. 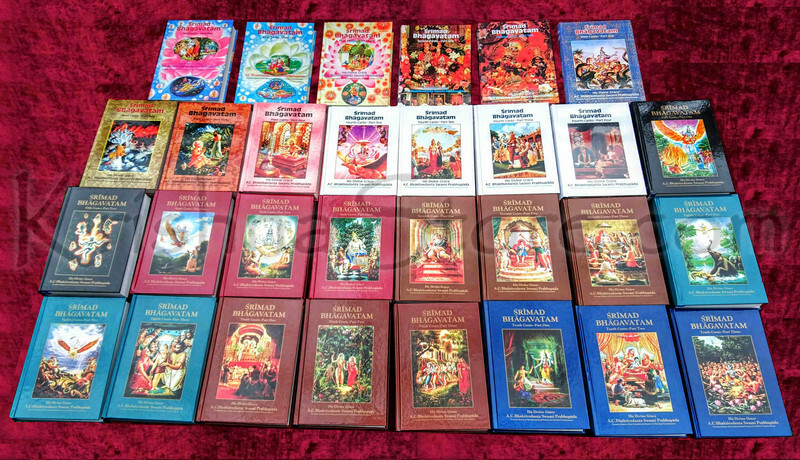 The size is almost the same as the original Bhagavatam set. The height of the books is about half an inch less. But the size of the text in the books is exactly the same as in the original books.